But it is very much a horror movie, one in which a brother and sister see their father hanged, their mother seduced and vanished, and a man of the cloth creeping right behind them with murderous eyes. It's the kind of movie that becomes unforgettable, paced to the rhythms of a nightmare. So let's salute this deluxe edition, which fully makes the case for an initially scorned piece of American fantasy. 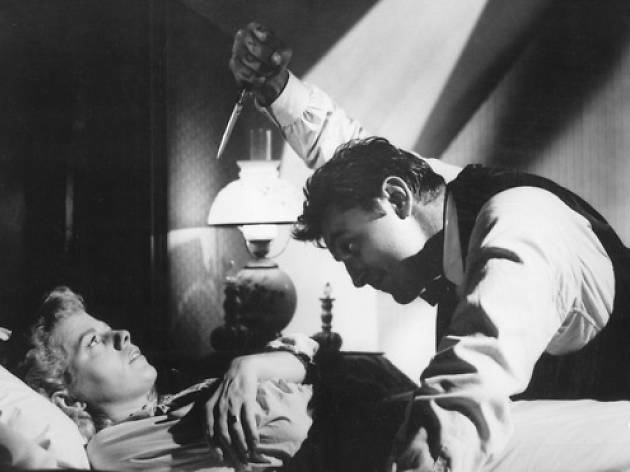 Robert Mitchum's demonic Harry Powell, cooing "The Gleaning" in the West Virginia night, is cinema's mightiest portrayal of pure evil; his director, the plummy actor Charles Laughton, would never be allowed to make another film, but for eliciting this one performance alone, he should be revered. The two-disc set slakes all thirst. Apart from a robust-looking transfer, you get an archival documentary featuring Mitchum, an extremely rare episode of The Ed Sullivan Show with the cast and plenty of critical commentary. An original British trailer (rated X) screams INTENSE EXCITEMENT AND SUSPENSE!